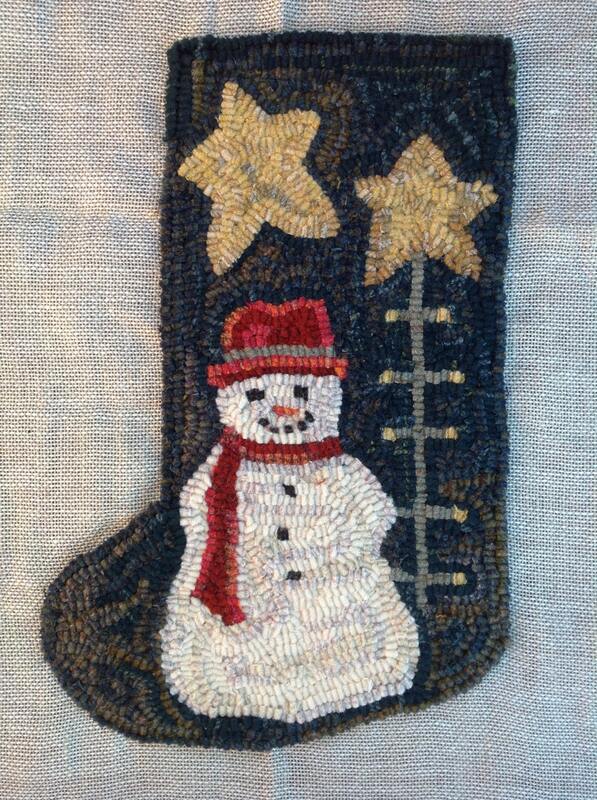 This is a Wool Pack that can be used to hook my rug hooking design "Snowman and Tree Stocking". The rug in the photo is for display ONLY and is not for sale. The wool included in this wool pack is all 100% new wool fabric that I have washed and dried so that it is fulled and ready for rug hooking, applique or wool crafting. 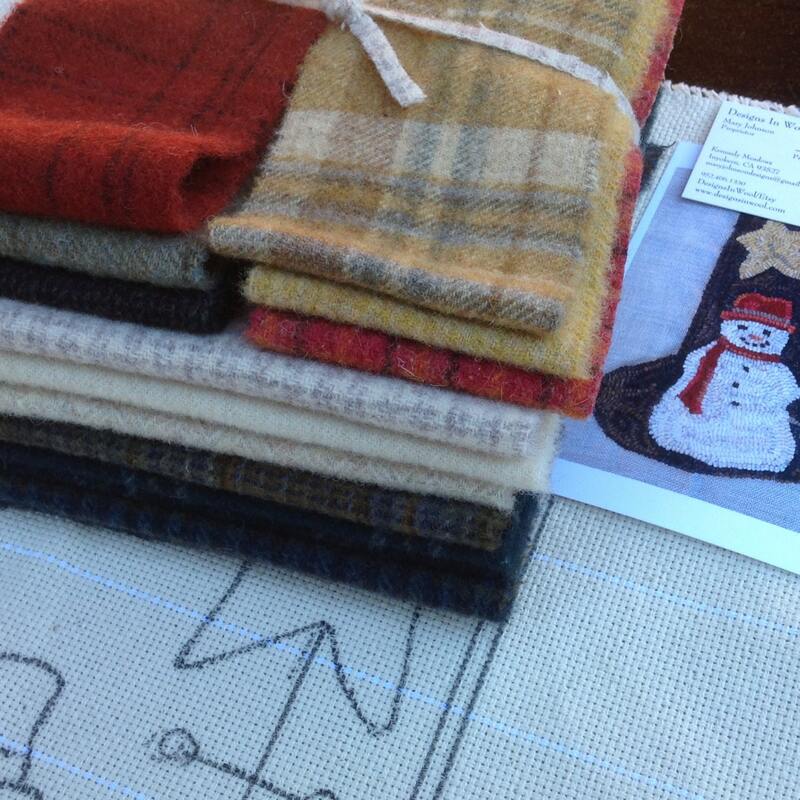 It is the same wool that I used in the stocking I hooked as a sample (see 3rd photo). This is such a pretty pack of wool, it could also be used for other small projects such as Christmas stockings, chair pads or other patterns that are similar in size. This wool pack is more than enough to hook the stocking, but does not include backing fabric. You can use any fabric of your choice to back the stocking. 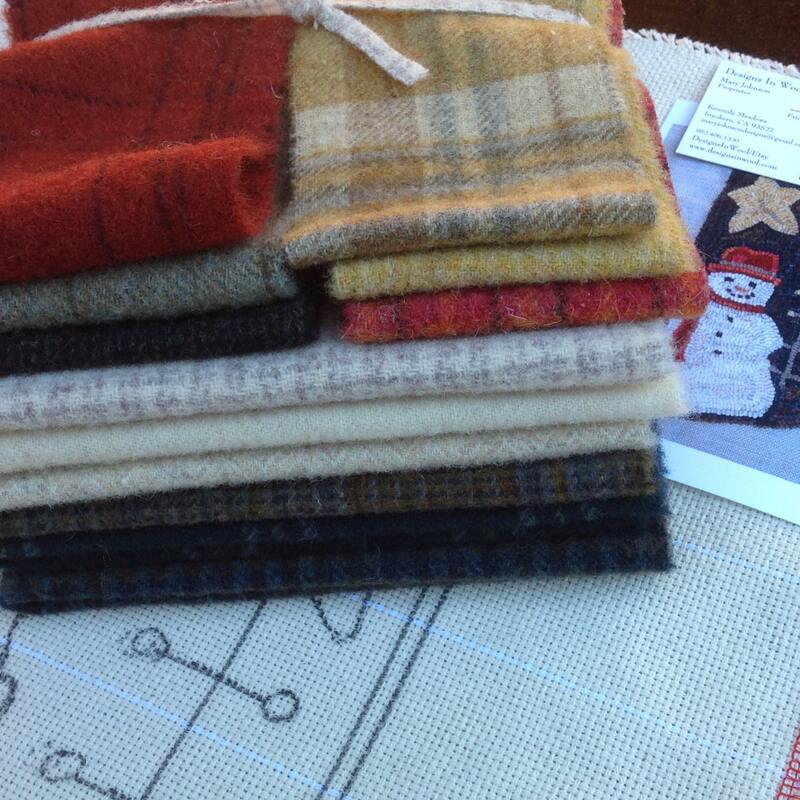 If you would like to use wool fabric, check out some of the plaids that are listed by searching the word "plaid". A quarter yard would be more than enough or you could sew a patchwork back using eighths or sixteenths. Thanks for visiting and please feel free contact me if you have any questions.